If you’re wondering what “FDK” is, read something else. If not, then you know that bringing full-day kindergarten to Loudoun county would cut the list of Virginia jurisdictions that don’t already have it from four down to three, and that doing so has become one of the short list of critical issues in this campaign cycle. Of course, it matters most in the race for school board, where the choice in Broad Run is between the incumbent, Republican-endorsed Kevin Kuesters, and his returning challenger, Democratic-endorsed Joy Maloney. Here’s the short version: Maloney is solidly in support of FDK, Kuesters thinks it isn’t worth the money. 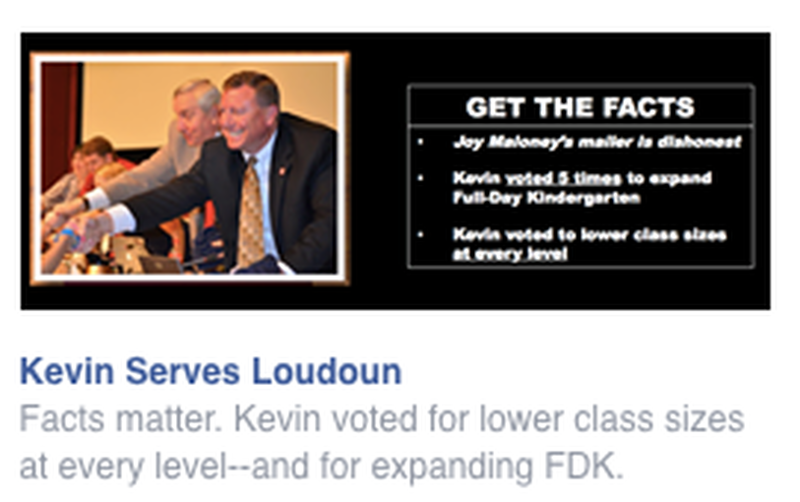 The longer version is where policy gives way to politics, as both of them know how popular the idea of FDK is in Loudoun county. Thus, for Joy Maloney, the fact that she is with the majority on this issue is something she wants known as widely as it can be. 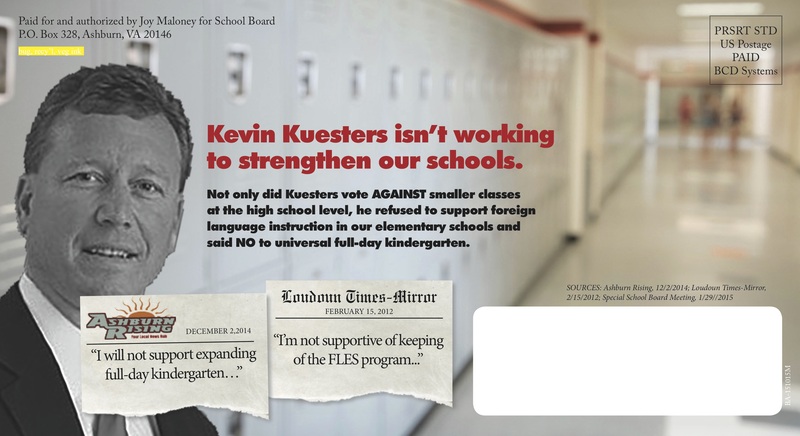 For Kevin Kuesters, the fact that he’s, at the best, on the fence about it, just isn’t going to win him many votes. So, Joy has the relatively easy task of telling voters she will try to get them what they want, while Kevin is stuck trying to look like he’s in favor of something that he actually doesn’t support. And that’s where you find out if a politician will talk straight or not. Alas, Kevin’s not. I will not support expanding full-day kindergarten just so the third graders reader better,” he said, also requesting more information [from school staff] about benefits in the senior year of high school. That could be read as leaving him with an open mind, but still in need of convincing. That bit about “third graders” is an example of what we lawyers call “weasel words,” which are qualifiers that let you avoid the hard implications of whatever else it is that you’ve said. 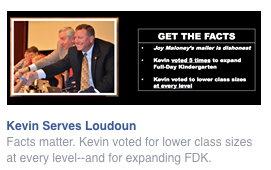 But, Kevin’s apologists might jump on the fact that Joy’s mailer kept the definite part (“I will not support expanding full-day kindergarten…”) while leaving out the weasel words. Those words, his apologists might say, make a difference. There is clearly a strong belief that FDK is a valuable and desirable program offering for schools, which is a real benefit for property values. It is also true that FDK assists with childcare expenses and logistics for parents who do not have to arrange for half-day schooling and half-day childcare. On the other hand, research consistently shows that by third grade there is no statistical difference between the academic performances of students who attended FDK versus those who attended half-day kindergarten (except at-risk kids). As a school board member, I have to decide if the actual benefits (perceived value, short-term performance and childcare) outweigh the actual costs ($50 million one-time construction costs, $12 $14 million recurring annual costs). Bottom line: Joy’s mailer is not dishonest. She’s holding Kevin Kuesters to his own position, which he now knows is not the one that the voters want him to take. 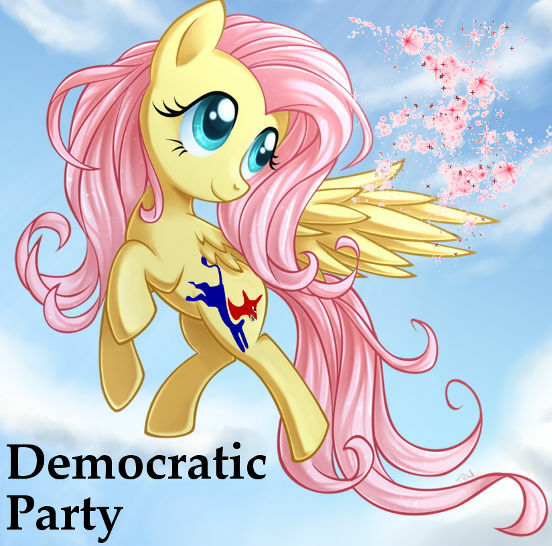 Dirty politics is what you get when people make stuff up, lie about their opponents, or attack each other’s character. Joy’s mailer is as clean as it gets. Kevin may wish he’d said something else, but it’s the political process doing its job (and a political candidate doing hers) when all a campaign is doing is holding an elected official accountable for his public record. Joy Maloney supports FDK. Kevin Kuesters doesn’t. That’s as clean as it gets.